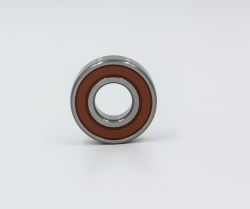 Seginus Inc has released this FAA PMA replacement Bearing 300SGL1052-1EH to aid in your cost reduction programs when maintaining your Skurka Aerospace Inc. Starter-Generators, Model 300SGL129Q. Oswego, IL, January 27, 2017 --(PR.com)-- Ball Bearing P/N 300SGL1052-1 is part of the Skurka Aerospace Inc., Starter Generator Model 300SGL129Q. These assemblies are installed in Textron Aviation, Inc. 525, 525A, 525B, 560, 560XL Series aircraft. Seginus Inc has released the following FAA PMA replacement part to aid in your cost reduction programs when maintaining your Skurka Aerospace Inc. Starter-Generators, Model 300SGL129Q. Seginus Inc was founded in November 2009 and continues to bring customers the very best in PMA parts. Seginus Inc currently has over 100 active parts in their inventory and many more are available through special order upon request. Look for our company page on LinkedIn and email brittany@seginusinc.com to be placed on a distribution list for more information.